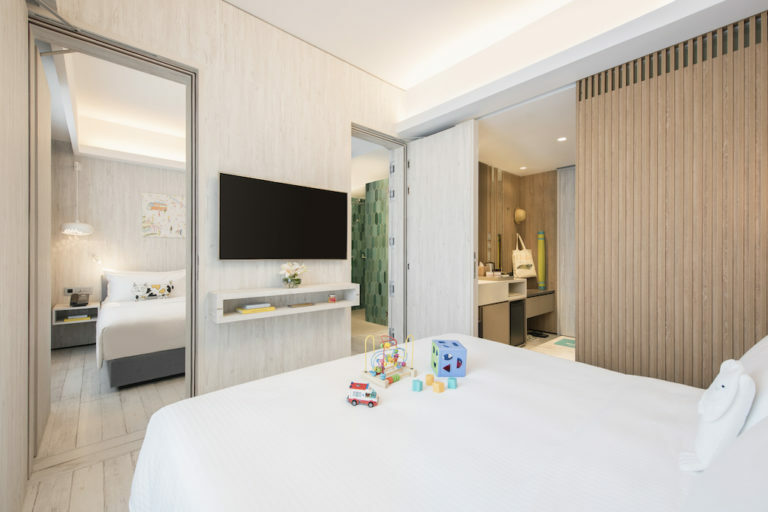 If we have any reservations about the Village Hotel at Sentosa being hands-down the most family- and child-friendly accommodation in the State of Fun, they are quickly dispelled. Kids are the VVIPs here, as we find out when we step into the hotel’s bright, airy lobby. 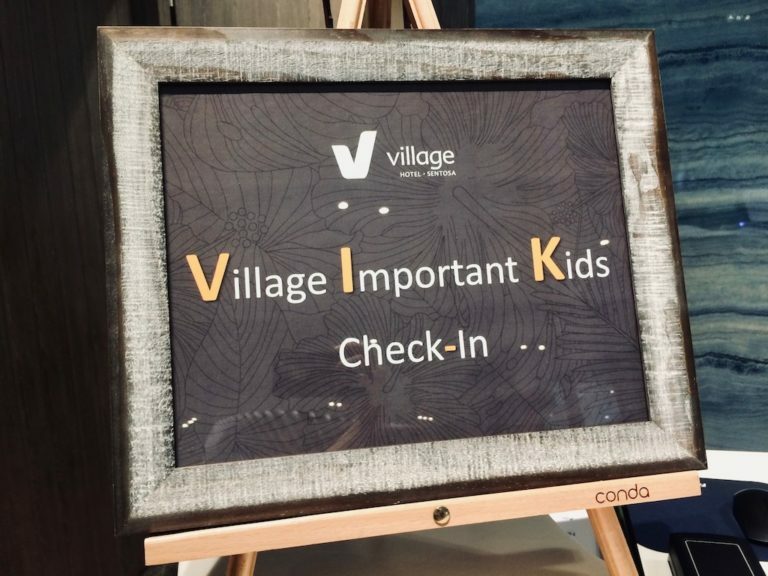 Firstly, kids do the ‘check-in’ at the VIK (“Village Important Kids”) counter. There’s a cute set of steps that little ones can stride up on to sign their signature (just like mummy and daddy) and check the family in. In addition, every child (up to age 12) who stays in the Family Room will have a set of their own amenities to make their stay ultra-comfortable. 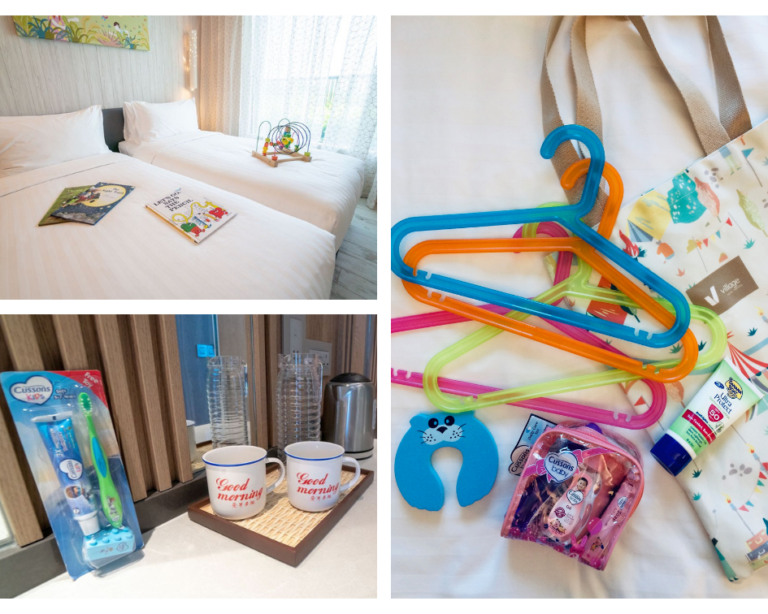 Depending on their age, this can range from baby cots, bathtubs, baby toiletries, door stoppers and corner protectors to clothes hangers, and even traditional Singaporean games like Five Stones. 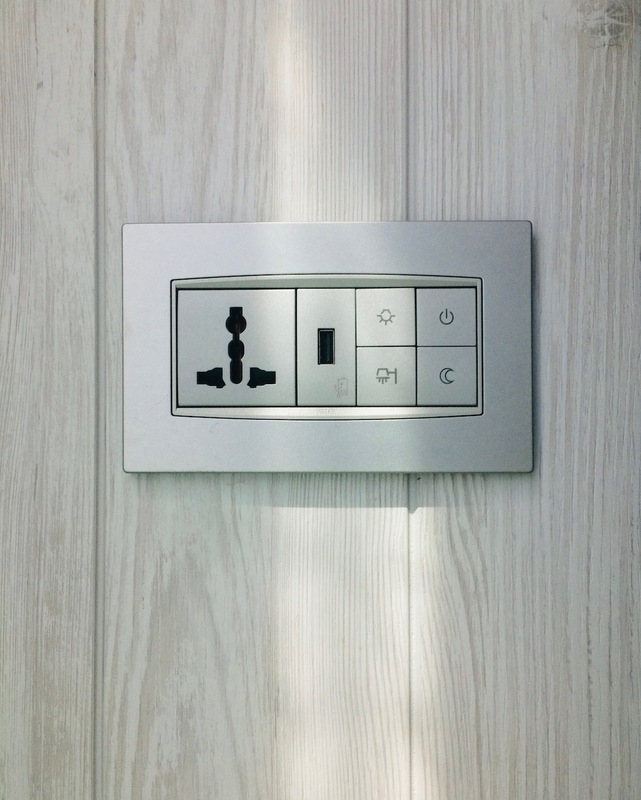 Perfect for a family of four, the connecting rooms come with two of everything. Yes, that means two bathrooms, two sets of amenities, two TV sets, two flip-down desks, and so on. Light Scandinavian decor, clean lines, and bright seaside prints on the walls make it soothing, pleasant, and easy on the eyes. Size-wise, the smallest rooms are compact and cosy. 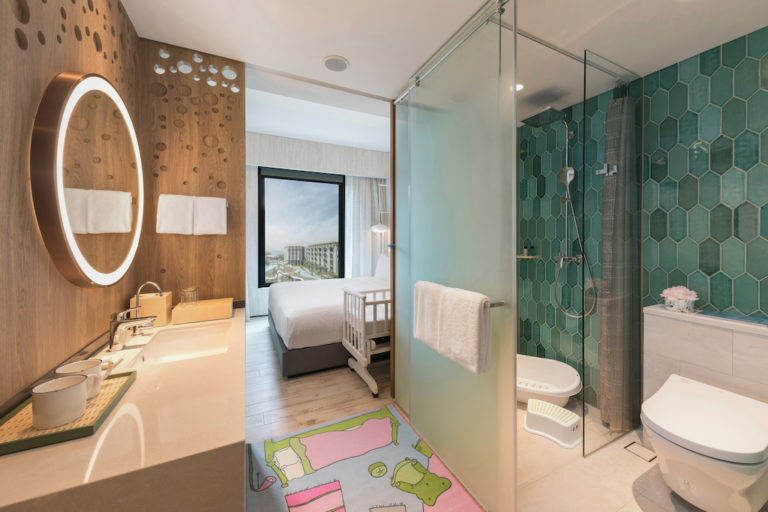 If you need more space (to park a stroller, for instance), opt for the larger connecting Deluxe Rooms. Do note too, that there is no cupboard, just wall pegs, and hangers. 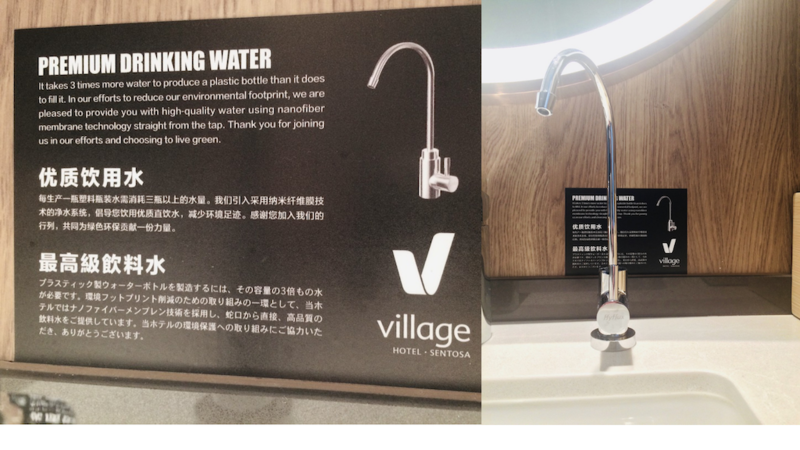 In-room water: Each room has a Hyflux tap which uses nanofiber membrane technology to give pure, drinkable water straight from the tap. It’s like having your own personal water cooler in your room. Best of all? You’re helping to save the planet as you hydrate. The Village Hub: With one of these on every lift lobby, you’ll never go hungry. 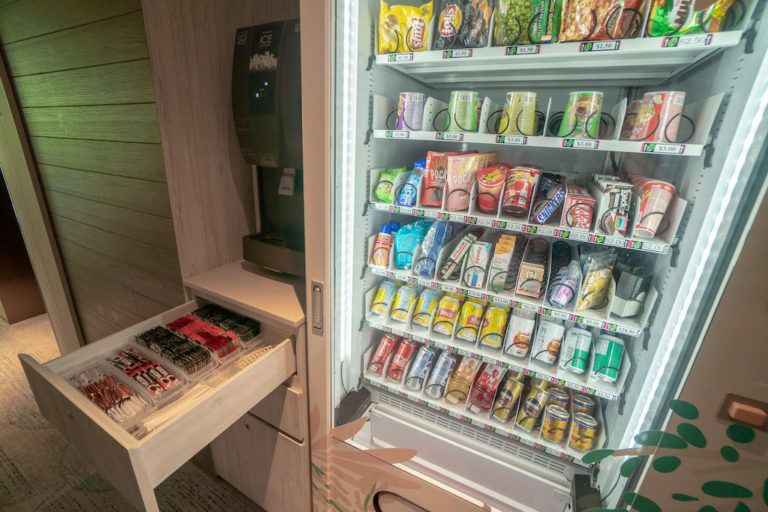 This consists of a vending machine with snacks, drinks, and holiday essentials — sunscreen, Panadol, Mopiko, Po-Chai pills, among others. There’s also an ice maker, and tea and coffee sachets that you can help yourself to. Built-in USB ports and universal outlets: A set on each side of the bed and ample ones around the room lets everyone can stay connected. 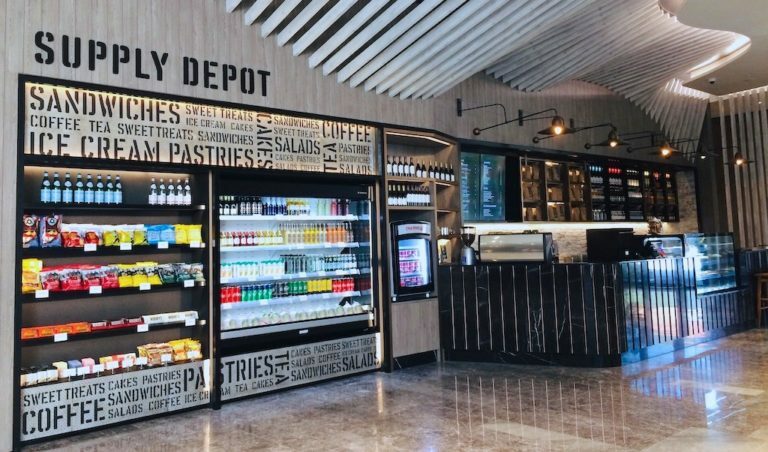 The Supply Depot: Situated next to the lifts at the lobby, this bar-style provision outlet sells gourmet snacks and sandwiches, pastries, salads, sweet treats, and yes, alcohol. There are FOUR pools, I repeat. Four. Pools. ‘Nuff said. 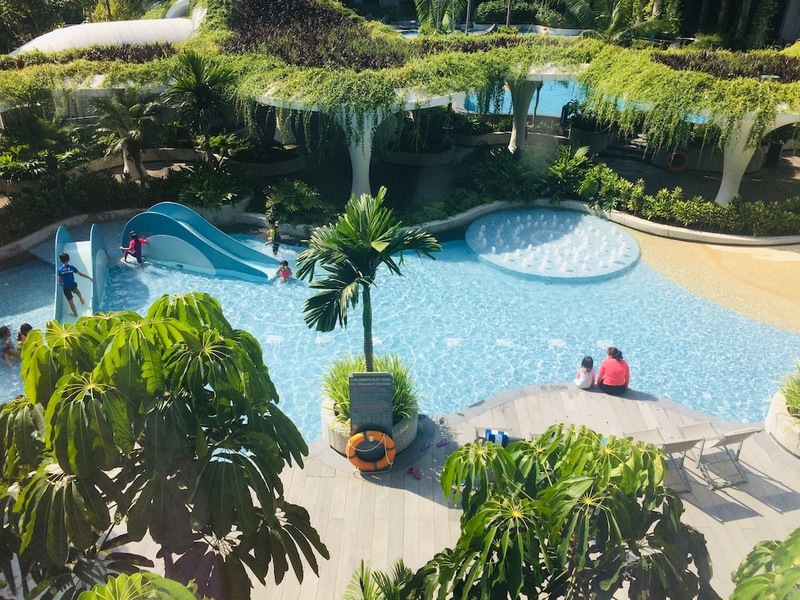 With lush greenery overhead, this shallow, curvy, water play area has two slides and a circular mini fountain zone. A gentle walk-in slope allows smaller ones can get used to the water, little by little. Grab a doughnut float (the hotel provides some), sit back, and let the water lull you into bliss as you meander along. 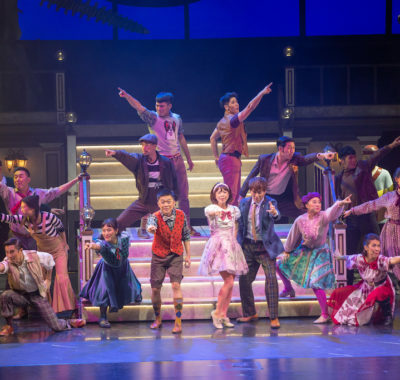 Watch out for the water curtain! 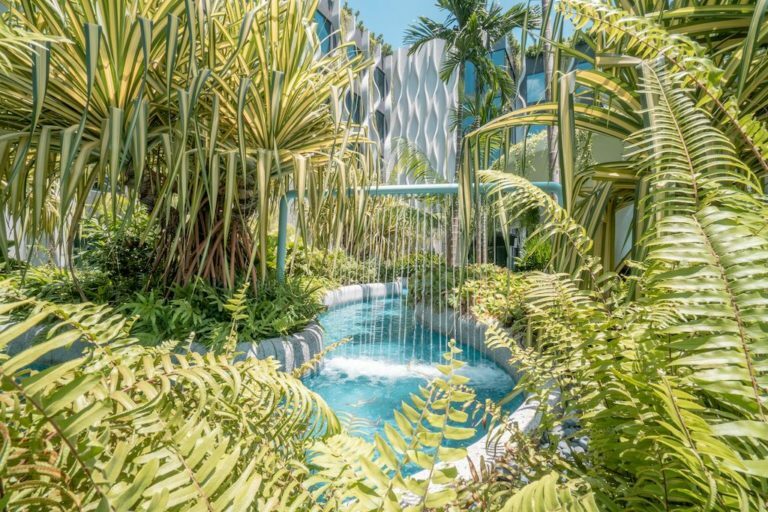 With curves and steps to reflect the features on the hotel walls, this is the pool for family play. There are deck chairs around one side, so parents can sit back and relax – but remember to keep an eyes on the kids! 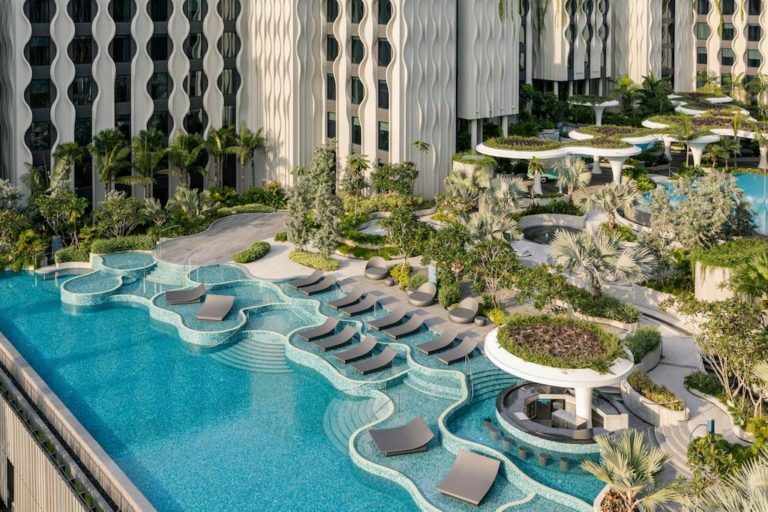 The Pamukkale Pool is inspired by the mineral-rich thermal pools in Turkey. This adults-only infinity pool has a swim-up bar with seats, and glorious sea-view vistas. Snacks and drinks are available 24/7 at the Village Hub, but if you seek something hearty, head to the hotel restaurant – Native Kitchen (#NativeKitchenSG). 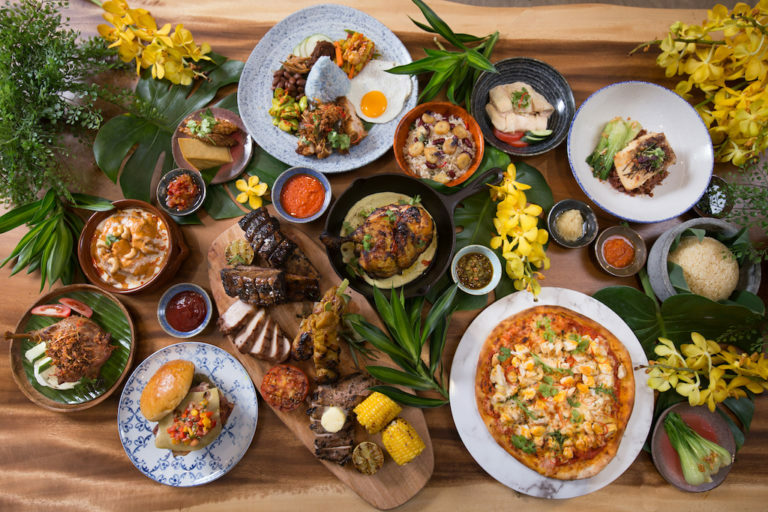 This islander-inspired restaurant helmed by Executive Chef Patrice Godino from France serves iconic dishes from Asian and Polynesian cultures. Order a platter or two (the Appetizer and Meat platters are divine) to share with the family, or individual plates if you’re not too hungry. We recommend the Island Ceviche (served in a coconut!) and the Bebek Goreng, which is as good as the one we tasted in Bali. 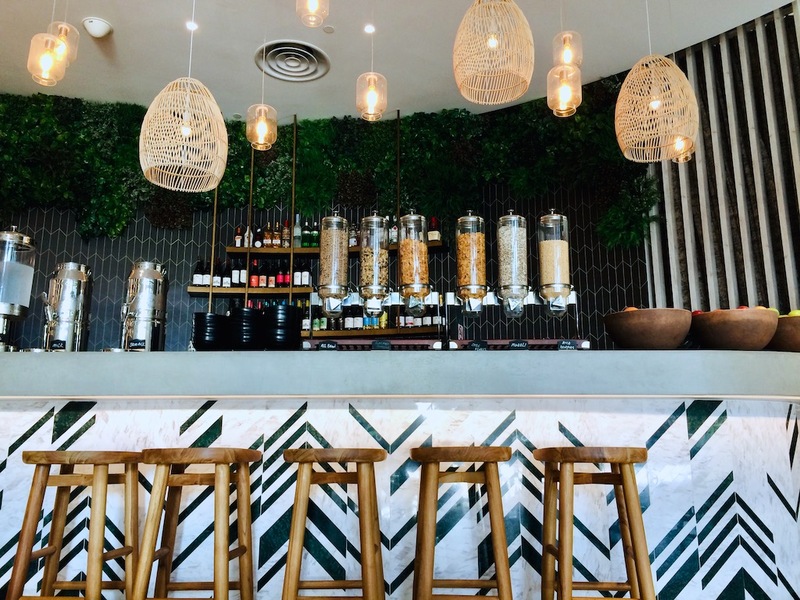 This is also the place to get breakfast in the morning. The spread is ample, with eggs cooked to your choice, hot and cold options, and even smoked salmon! 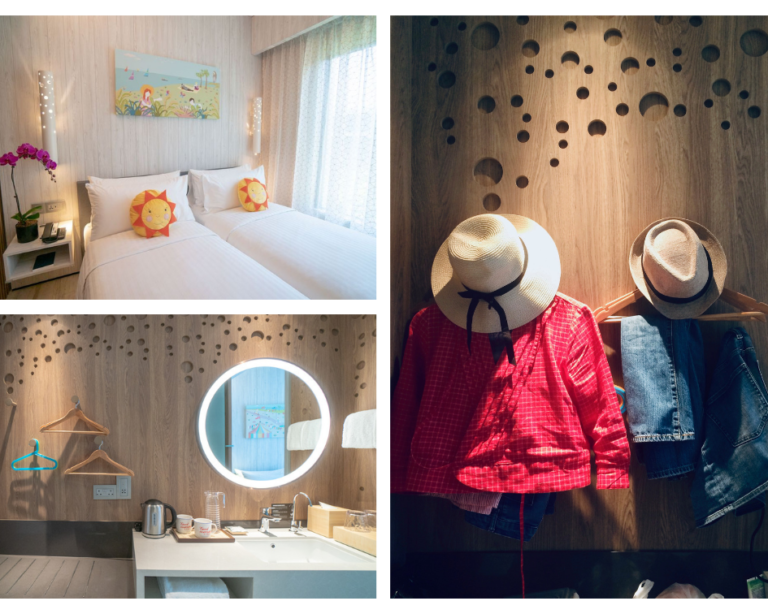 Frankly, with the pools, the activities, and the super-cute rooms, we are tempted to stay in the hotel all day. 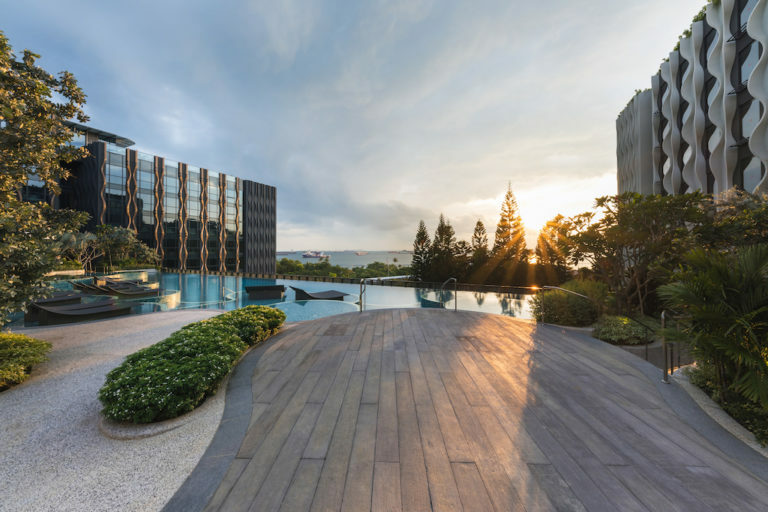 But Village Hotel at Sentosa is just a stone’s throw from KidZania, the Luge, and the beaches – who could resist? The monorail station is a two-minute walk away, and there’s a bus-stop directly outside the hotel, with buses to all parts of the island. 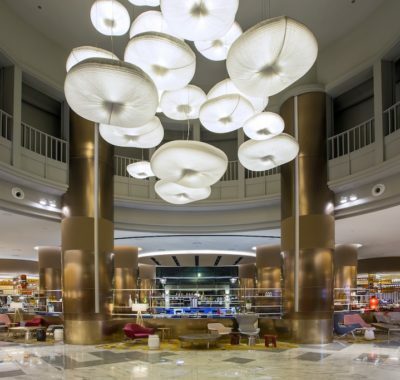 The hotel also offers a half-hourly shuttle to Vivocity, in case you feel the need for some mall-style retail therapy. Then again, you may not want to leave the Village at all! 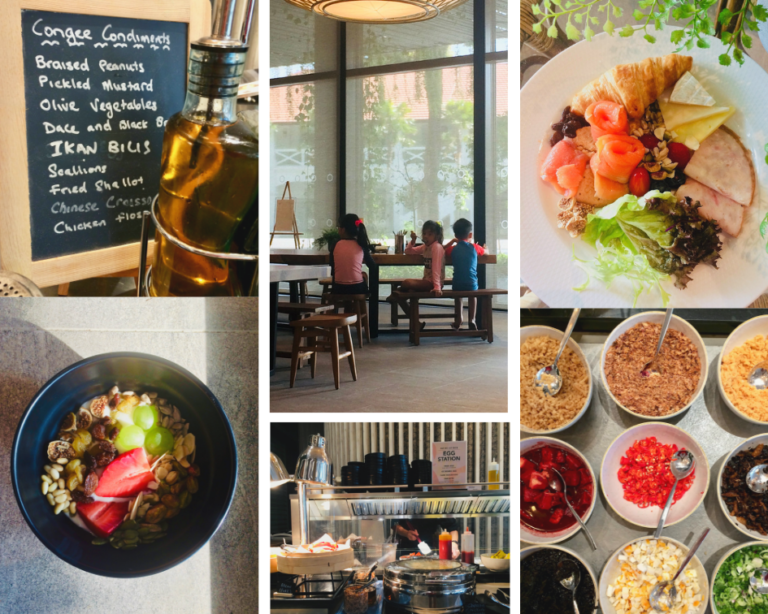 We have a 2D1N Family room stay with breakfast (worth over $580) for a family for four to give away! 3. Sit back and relax. We’ll be in touch if you’ve won! 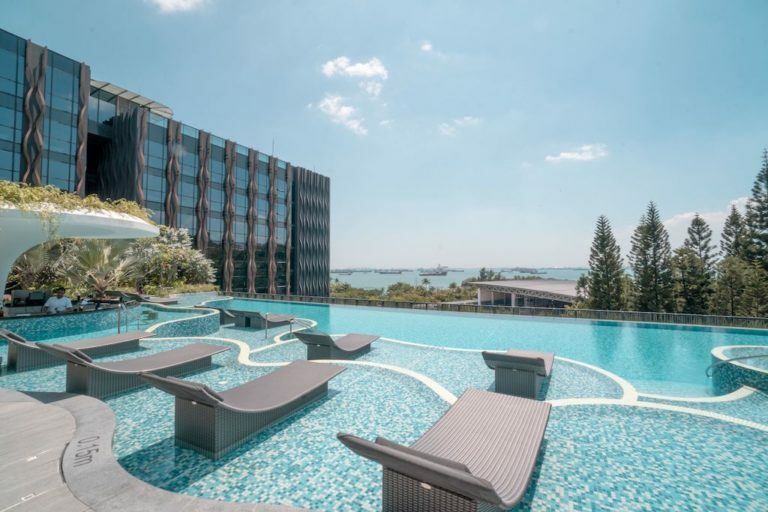 • Valid from 15 April – 14 October 2019 for use at Village Hotel at Sentosa only. 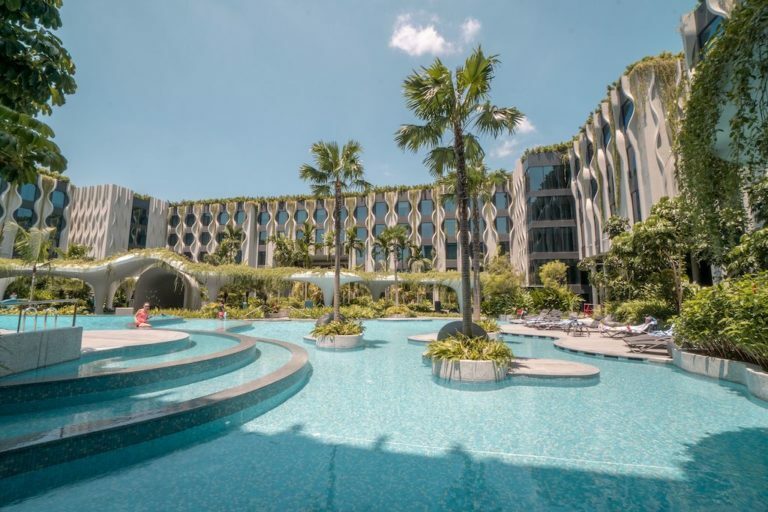 • Booking must be made at least 14 days to arrival with Village Hotel at Sentosa. Booking is subject to room availability. Last minute reservations will not be entertained. • Blackout dates apply. Giveaway stay is not valid on the eve of Public Holidays and Public Holidays. 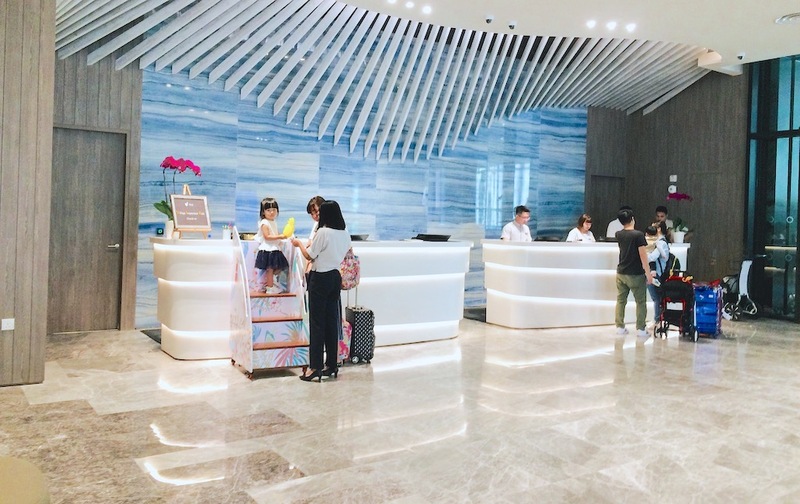 • Hotel check-in time is after 3pm, and checkout time is at 12 noon (Singapore local time). • This giveaway (including its letter certificate) is non-replaceable, non–refundable and is not redeemable for cash. 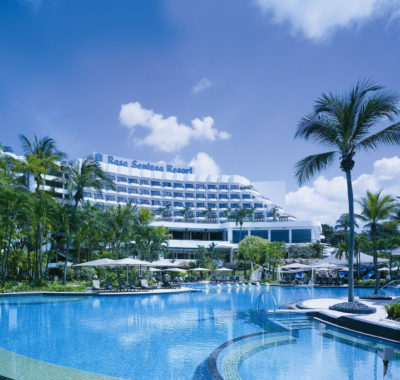 This letter certificate is not valid without the Hotel’s authorised signatories, and not applicable for use with other promotions, offers, letters or discount cards. • After the expiry date (14 October 2019), there will be no extension of the letter certificate’s validity period. • The original letter certificate must be presented upon check-in, and is valid for one-time use only. • Failure to arrive at the hotel is regarded as a no-show and no refund will be given. • The Hotel’s policies, terms and conditions, including but not limited to the Innkeepers Act, apply. 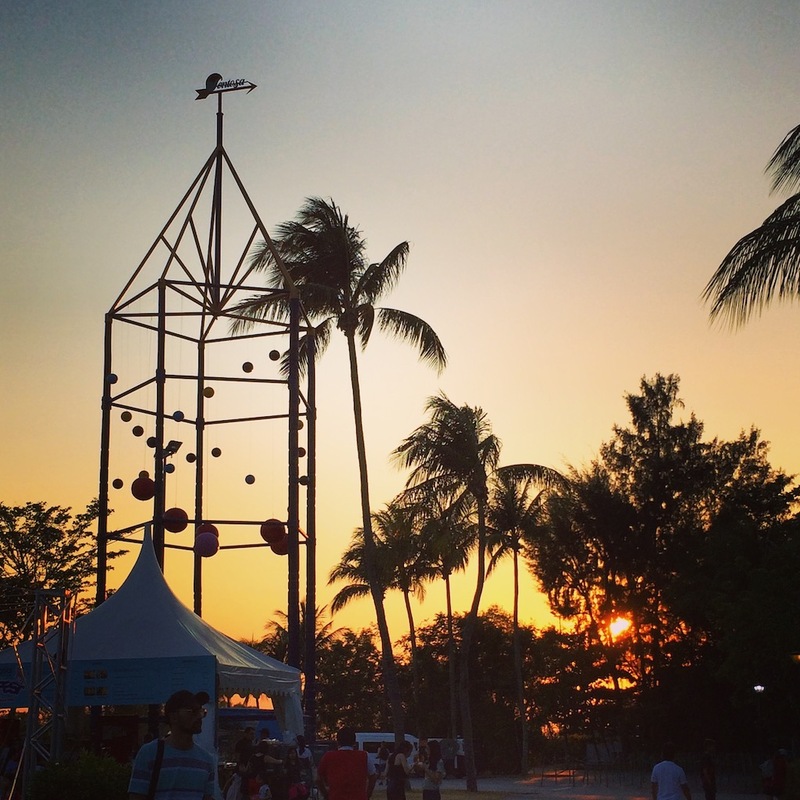 :: Giveaway :: Live Like A Local and Win a Staycation at Grand Copthorne Waterfront!